No one should ever think that all landlords are unscrupulous. Dishonest landlords are more the exception than the rule. Yet, there are disputes that arise between tenants and landlords over any number of items. One of the biggest ones happens to involve the security deposit. A landlord will claim damages that may have not been the result of the tenant’s negligence. There also can be disputes over what is required of a tenant in the lease. These situations are more aggravating than major emergencies. A group legal plan can have the services needed to help the tenant in one of these kerfuffles. One of the best group legal services possible is having an attorney review legal documents, including rental leases. These can be very confusing to somebody who is not familiar with real estate law or contracts. A group legal plan lawyer is able to look at the lease and explain to a tenant what his or her obligations are. If there are situations where the landlord has overstepped the boundary the attorney can point that out. Most states have landlord – tenant laws and the intent is to protect the tenant and define what the landlord is supposed to do. Here again, a lawyer can provide worthwhile service by explaining the law to a group legal plan member. The question of security deposits is perhaps the biggest bone of contention. Landlord – tenant laws define what a landlord is required to do, and what the valid reasons for keeping the security deposit are. The law usually has provisions for a tenant to dispute what the landlord is doing, and this can even end up in court. If the security deposit dispute goes to small claims court, a very effective group legal services benefit permits the attorney to help the tenant prepare the evidence for presentation. 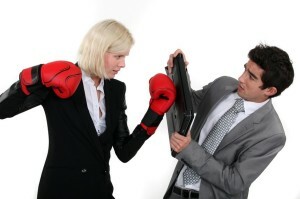 Attorney can also help resolve these disputes through communication. Being able to write letters and make telephone calls on behalf of the plan member enables the attorney to communicate directly with the landlord. It often happens it is all a misunderstanding and the lawyer can use his or her expertise to solve the problem. Countrywide Pre-Paid Legal Services has designed group legal plan benefits for organizations since 1987. We know how emotional landlord – tenant disputes can be, and our attorneys have the people skills necessary to calm the waters. We allow for an unlimited number of telephone calls to an attorney, so the tenant can have all questions answered, and receive advice from legal counsel. If necessary, the Countrywide lawyer can also direct a group plan member to those public agencies that can perhaps provide more help in a rental dispute. The intention is to bring about an end to the difficulty in favor of the group plan member. No one likes to be kept waiting and our administration is such that service is received as quickly as possible. We expect our attorneys to give high priority to a plan member’s problems. Every plan member receives the same competent service and high quality attention, and we react immediately if there’s any complaint about services received. We have a number of options that can further help any employee, and we will tailor the group legal services plan to the needs of the organization. A landlord doesn’t automatically win a landlord – tenant dispute. A tenant is not at a disadvantage if he or she has good legal assistance. Countrywide takes great pride in the high standards of professionalism and expertise of our lawyers. We welcome any inquiries into all of the legal service options we can provide to any organization’s employees. Contact us today!